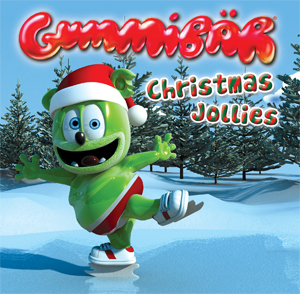 Gummybear International Releases Gummibär's Christmas Jollies EP on CD - Gummybear International Inc.
Christmas Jollies, Gummibär’s Christmas EP is now available in CD form. Previously only released as a digital EP, Gummybear International has exclusively released the album on CD just in time for the holiday season 2011. The CD release contains all 5 Christmas favorites that were previously released on the digital version, as well as Gummibär’s YouTube hit You Know It’s Christmas. The CD retails for $6.99. He is super cool!please keep making funny songs!!!!!!!!!!!!!!!! !